Future Climate For Africa (FCFA) aims to improve the use of climate information in long-term decision-making across sub-Saharan Africa, leading to improved climate risk management and the protection of lives and livelihoods. Take the tour below or view the reports to find out what FCFA's scoping phase recommends for a climate-resilient future. SYNTHESIS REPORT (2/15): Promoting the use of climate information to achieve long-term development objectives in sub-Saharan Africa: Lessons from the Future Climate For Africa scoping phase. AFRICA OUTLOOK (11/14): Stories of change from CDKN: How is climate information being factored into long-term decision-making in Africa? WORKING PAPER (4/14): Exploring the role of climate science in supporting long-term adaptation and decision-making in sub-Saharan Africa. OPINION: How can climate science inform decision-making in Zambia? OPINION: What does climate change mean for port infrastructure in Africa? Where should climate information be used? How can climate information help African decision-makers achieve their long-term development objectives? While the impacts of climate change are being felt by people and communities now, many of the most severe impacts will be felt in the decades to come. By factoring long-term climate information into planning decisions, countries can minimise the losses that climate change may inflict, and take full advantage of any opportunities it may offer. In 2013-14, CDKN managed a scoping phase of the Future Climate Africa (FCFA) to evaluate if and how decision-makers are using medium- to long-term climate information. This was done through commissioning six case studies. The case studies showed that such climate information is not currently being used in long-term decision making across much of sub-Saharan Africa. However, there remain opportunities to promote its effective use in relevant decisions and contexts. Future Climate For Africa (FCFA) is a new five-year international research programme jointly funded by the UK’s Department for International Development (DFID) and the Natural Environment Research Council (NERC). The programme will support research to better understand climate variability and change across sub-Saharan Africa. The programme will focus on advancing scientific knowledge, understanding and prediction of African climate variability and change on 5 to 40 year timescales, together with support for better integration of science into longer-term decision making. Not every decision needs to be taken on the basis of medium- to long-term climate information. Short-term interventions with short-lived implications are less likely to require longer-term climate information to achieve successful outputs. An example of this may be a reactive intervention aiming to distribute food, mosquito nets and water purification tablets to combat the spread of an outbreak of malaria. Short-term interventions with long-lived implications. These interventions are focused on immediate, short-term development needs, but their impacts on infrastructure and livelihoods can be felt long after the programme ends - typically beyond 5 years. This can include developing large public works and social protection schemes; 3-5 year national plans; strengthening basic health care systems. Long-term interventions with long-lived implications. These interventions focus on both short- and long-term development needs. The impacts on infrastructure and livelihoods extend over decades, such as the development of large dams; ports; road networks; urban planning. Why isn’t climate information currently being used for long-term development planning? FCFA found few examples of climate information being meaningfully integrated into the planning of long-term development objectives – despite the large number of decisions with long-lived implications. The immediacy of short-term development challenges in many sub-Saharan countries inevitably focuses decision-makers’ attention on shorter timescales. Low levels of socioeconomic development and high vulnerability to current climate stressors in many African countries mean that decision-makers focus primarily on immediate development needs. This inevitably pushes climate change – and with it the uptake of climate information into long-term decision-making – down the policy agenda. Climate information can rarely answer the questions and issues raised by local decision makers and is poorly suited to the scale and context needed to guide local investment trade-offs. Much of this owes to largely to uncertainties at high-spatial resolutions and a lack of integrated assessments of climate impacts, vulnerability and adaptation across many parts of Africa. There is a communication mismatch between the producers and users of climate information. The information delivered to decision-makers is often overly technical, ill matched to their needs, and leads easily to a misunderstanding of the associated uncertainties. Likewise, decision-makers’ needs rarely feedback to science producers. A lack of effective boundary organisations to act as intermediaries among scientists, policy-makers and practitioners remains a clear gap. What are the opportunities to support greater use of climate information? 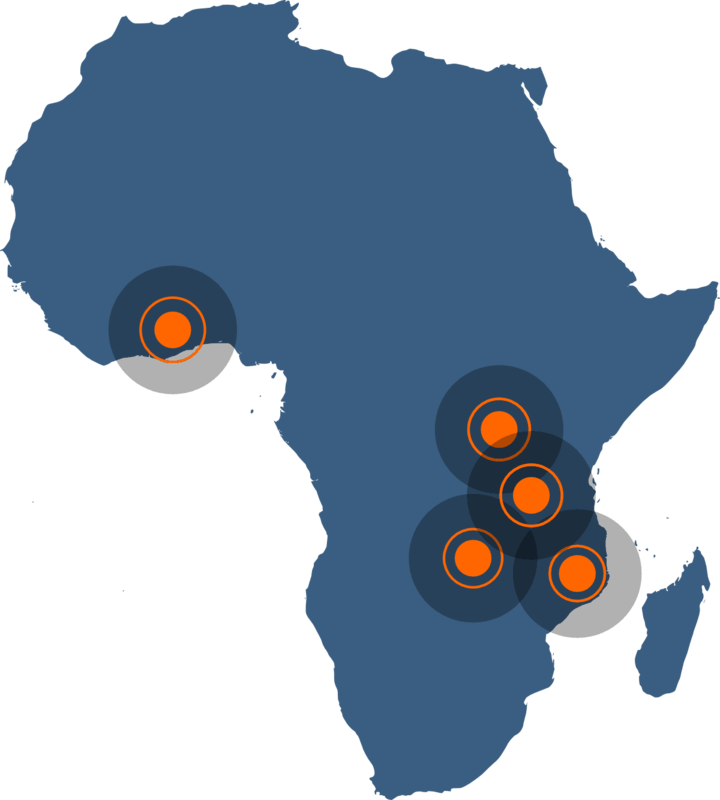 Significant opportunities exist to increase the quality and quantity of Africa’s observation networks and infrastructure, and digitise the large swathes of unarchived historical data that are currently inaccessible to many researchers. There are also opportunities to support the capacity of African climate scientists and relevant scientific institutions. Although some international and regional centres provide capacity support to a handful of regional scientific and meteorological centres, these investments are currently limited in scope and size. Improving the usefulness and relevance of climate information. One of the clearest demands from the decision-makers consulted during the FCFA scoping phase was the need for sector-specific impact analyses that weigh up the implications of various policy options. Greater support for regionally-specific integrated assessment modelling and, where relevant, strengthening their use among decision-makers, may promote an evidence-based approach to long-term decision-making. Enhancing the accuracy and communication of near-term decadal climate projections may also offer advantages in providing information that can be acted upon within the timescales relevant to many decision-making processes. However, these tools should be used carefully, given the scientific and technical challenges that remain. Recognising and overcoming political and institutional barriers. Many of the biggest barriers to using climate information relate to institutional mandates, hierarchical structures and a lack of adequate incentives. Investing resources – time and money – to assess the local political context and engage with local partners can lead to more effective communication and better use of this information. This requires a shift away from short funding cycles, rigid targets, and donor-driven agendas, towards longer-term partnerships that embed interventions within national policy processes. Helping decision-makers to make robust decisions despite uncertainty about the future climate. Despite considerable advances in our understanding of the climate system, large uncertainties are likely to remain regardless of future investments in climate science. It is vital that there is more understanding about the limits of climate information. Helping decision-makers to select and use systematic, evidence-based approaches that acknowledge this uncertainty is also important. How are countries and sectors using long-term climate information? FCFA aims to promote the use of climate science and services in Africa, in order to support long-term adaptation and decision-making. The programme’s 18-month scoping phase investigated real-world adaptation challenges to explore how climate information was used. Methods included desktop research, multi-stakeholder interviews and workshops. Six case studies were carried out, highlighting key findings on how climate information can improve humanitarian and development policy. What can we learn from the approaches used by the FCFA case study teams? The FCFA scoping phase provided insights into the ways in which scientists and policy-makers can be brought together to discuss climate information. The case studies highlighted three important areas for wider consideration. Longer-term engagement between donors, knowledge brokers and science users and producers is needed for meaningful policy impacts. One-off activities such as workshops are a common approach to capacity building and knowledge-sharing, but they rarely lead to effective and sustained learning and action. To arrange and facilitate a workshop effectively, the organisers need to understand the local institutional and political contexts well. Knowledge brokers should consider carefully whether a workshop is the optimal form of engagement. While traditional workshops can allow for effective discussions and the sharing of ideas, all six case studies showed that workshops must be well designed and facilitated to lead to meaningful engagement among different stakeholders. In addition, expectations of financial compensation for attendance can negatively affect who and how many people choose to attend. Promoting the use of climate information in long-term decision-making raises challenging ethical questions. Experiences from the case studies indicate that prioritising long-term development perspectives is often at odds with addressing existing efforts to meet basic human needs and find pathways out of poverty. Even in the case of longer-lived infrastructural investments and plans (such as hydropower dams, or spatial design and urban planning), high discount rates, short political time-horizons and large uncertainties reduce the incentive for accounting for long-term climate change. How should external actors engage with decision-makers in places where there is little knowledge of, or enthusiasm for, the inclusion of medium- to long-term climate information in planning? Sadly, few donors, development agencies or governments are willing to address these questions. Above all, the organisations and people responsible for developing and communicating climate information should be aware of the social value of the information they provide, and the legitimacy of the goals pursued by policy-makers. The outputs presented here form part of the FCFA scoping phase (completed in January 2015). Roll out of the main FCFA programme will commence in March 2015, with Regional Programme Consortia (RPCs) implementing research and capacity building activities across sub-Saharan Africa. In addition, a Coordination Capacity Development and Knowledge Exchange (CCKE) unit will support the uptake of findings from the FCFA scoping phase and to promote greater knowledge exchange amongst the RPCs and wider stakeholders across the region.